This dapper, vintage-looking stereo from the lauded audiophiles (laudiophiles?) at Symbol Audio packs a grip of high-end components inside a '60s-style "furniture grade" handmade wooden cabinet (e.g., dual 4" titanium speakers, a 5.25" "long-throw" woofer…), which can be custom-colored or -stained to suit your existing decor. 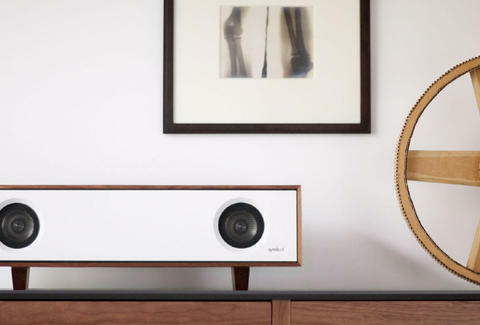 It also claims to be "the only speaker you need" thanks to a versatile input jack equipped for everything from Apple TVs, to Sonos wireless receivers, to turntables, should your technology also skew '60s-style.